I have written before about why I teach, today I want to share my underlying philosophy of how I teach. and every method has its pros and cons, and its place as one grows as an artist. You might wonder, do I have a favorite way to learn? YES! My favorite way to learn and to teach is by applying focused and planned out effort. I like to analyze what area needs attention, and to figure out a painting exercise that will stretch my abilities in that area. This way of learning is called “deliberate practice”, and it yields the deepest learning experience and if completed regularly, it will also enable the fastest path to achieving expertise in an area of study. Luckily when painting with oils, it is a forgiving medium and you can easily focus on one aspect at a time. It just requires patience and a willingness to explore. Deliberate practice is a large part of my teaching methodology. I organize my classes to have an equal amount of time dedicated to specific deliberate practice exercises and to specific applied painting sessions. In my fall and spring terms, classes alternate between a specific deliberate practice exercise one week and then a painting session the following week where the still life setup incorporates aspects of the previous weeks exercise. By having two weeks in a row to focus on one specific aspect of painting, proficiency grows along with confidence in being able to effectively express oneself with paint. Here is an example of a recent series of paintings that incorporate the deliberate practice mindset. 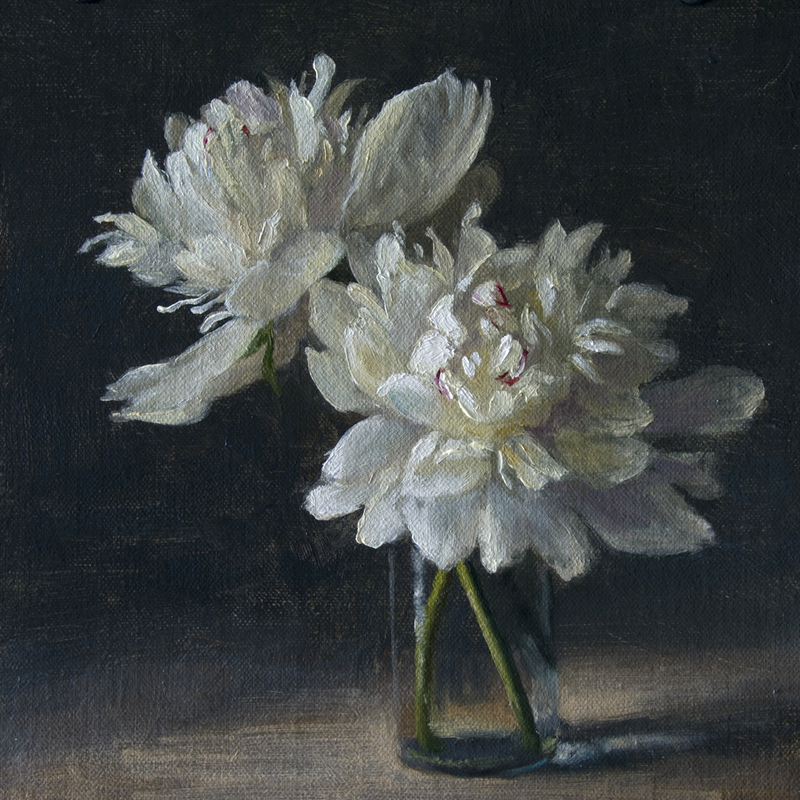 In the spring of 2017, I painted a series of peonies in a concerted effort to get better at expressing the evocative nature of these lush and detailed flowers. 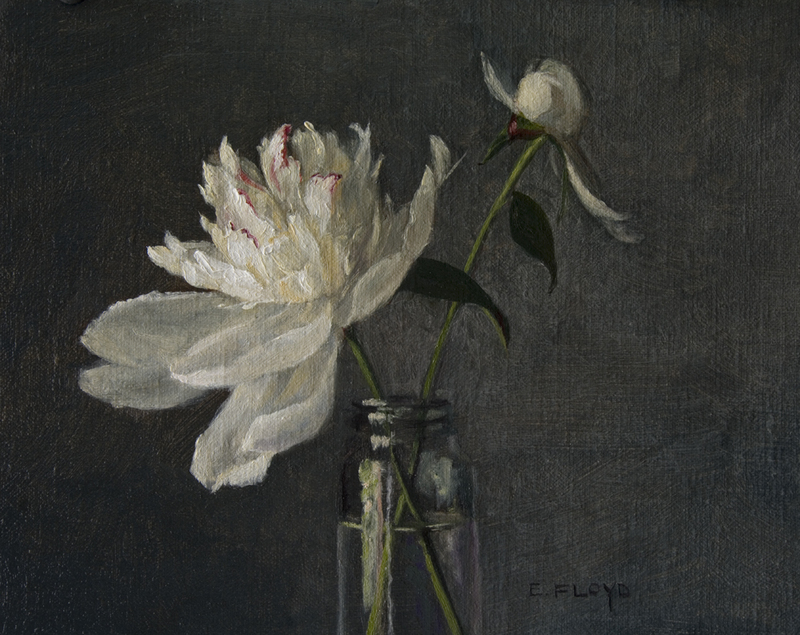 Each painting was in exploration and expression of the delicate and fleeting quality of these exhuberant flowers with paint. PS. I have a teaching newsletter that discusses my ideas about learning to paint with oils in greater depth. Each newsletter ends with advice on how to apply the topic covered in your next painting session. Sign up here!